Vitamin B comes in many forms, all of which are essential to the diet. I’m here to shed some light on this complex nutrient and highlight its important place in our daily diets. The B’s touch many aspects of health so in order to achieve wellbeing, adequate vitamin B is crucial. B1, also known as thiamine. B1 is found naturally in beef, pork, oranges, nuts, oats and eggs. However, we mostly consume it in fortified cereals. Thiamine is so important to our diet that it is legally mandated that all cereals (for example, bread and pasta) have added thiamine. The major role of thiamine is within carbohydrate and branched chain amino acid metabolism. The RDI for vitamin B1 is 1.2mg/d for males and 1.1mg/d for females. 1 cup of enriched white rice has about .19mg of thiamine, if you paired this with some pork (.81mg/tenderloin) you’d be getting pretty close to meeting your daily intake in just one meal. Despite it being pretty easy to meet your daily thiamine intake, deficiency is still possible in those with extremely poor diets or on very restricted diets. Deficiency presents as Beri Beri disease. There are three types of Beri Beri. Dry Beri Beri involves nervous system and muscular dysfunction. Wet Beri Beri, is very similar to dry Beri Beri, but is characterised by an accompanying pulmonary oedema (fluid in the lungs). Obviously, these conditions are very serious and can cause death in extreme cases. The third and final type of Beri Beri is cerebral Beri Beri, also known as Wernickle Korsakoff Syndrome. This type of Beri Beri is specific to alcoholics, who generally have poor diets and require extra B1 due to the demands of alcohol metabolism. Ironically, the symptoms of Wernickle Korsakoff mimic being drunk. Blurred vision, crossed eyes and ataxia (poor control of movement) characterise the condition. You can read more about malnutrition and alcohol in a previous article of mine; Alcoholics Anonymous. B2 is also known as riboflavin. If you’ve ever taken a multivitamin and noticed bright orange urine following this, B2 was responsible for that. What happens to generate this fluoro urine is that your body has no need for the extra B2 so it gets excreted in the urine, rather than being absorbed. Here, it exerts its distinctive colour that made you wonder what on earth was going on. You can learn more about how supplements affect the body by perusing, The Price We Pay for Supplements. Riboflavin is active in the body as flavin adenine dinucleotide (FAD) and flavin mononucleotide (FMN). FAD/FMN are important co-factors in redox reaction. Hence, are key in energy metabolism (a string of oxidation and reduction reaction cycles). Energy metabolism is the process of converting the food we eat into energy that the body can use (ATP). B2 is therefore important for maintaining our energy levels so we can run, jump, breathe, digest, pump blood and do all sorts of things that we don’t even realise are going on (for example, nutrient transport at the cellular level). Since this energy is so important to almost every physiological function, B2 is essential for good health. Its deficiency can cause scaly skin, glossitis (inflammation of the tongue), angular stomatitis (cracked sides of mouth that never heal), headaches, fatigue and anaemia. Some food sources of B2 include dairy, mushrooms, spinach and lamb. B3 is an interesting vitamin. Despite being able to be made within the body from tryptophan (an amino acid from protein), it is still essential in the diet as this endogenous source is insufficient for our needs. B3 is commonly known as niacin and is active in the body as NAD and NADH. Similar to FAD/FMN, NAD and NADH participate in redox reactions and therefore are essential to energy metabolism. Since energy metabolism has wide spread functions, the functions of B3 are varied. Similarly, the deficiency symptoms are ubiquitous and wide spread. Pellagra a skin condition is the main characteristic of niacin deficiency. The four D’s are also associated with B3 deficiency; dermatitis, diarrhoea, dementia and death. Bottom line is that it’s a grim outlook for those suffering B3 deficiency. Turkey, chicken, peanuts and mushrooms are some of the foods you can choose to combat B3 deficiency. The Recommended Daily Intake is 16mg/day. With just one chicken breast offering a generous 15mg, it is easy to avoid B3 deficiency with a normal healthy diet. B5 or pantothenic acid is again, pivotal to energy metabolism. You are probably starting to notice a trend here- B vitamins are important to energy metabolism. Correct! In fact, it’s their central (broad) role. It’s still important to make sure you are achieving enough of each individual B vitamin as they all do have slightly different roles. For example, B5 is important to fatty acid elongation as well as energy metabolism. Its deficiency is rare as it is found in a wide variety of foods. Much like B3 deficiency, symptoms are ubiquitous due to its many functions throughout the body. Fatigue, headaches, gastrointestinal upset and muscle un-coordination are the generally associated symptoms. B6 is also known as pyridoxine. Like most B vitamins, it is essential to metabolism. B6, however, is specific to amino acid (protein) metabolism. It helps convert amino acids into other products such as non-essential amino acids. It does this through a co-factor relationship with the relevant enzymes. Like B5, it’s deficiency is rare due to the wide variety of foods in which it is found. In general, water soluble vitamins (the B’s), do not exert toxicity. This is because their soluble nature allows them to be easily excreted in the urine when consumed in excess. However, in the rare case of some water-soluble vitamins (for example B6), toxicity is possible. Consuming greater than 50mg per day, significantly increases the risk of toxicity. However, this consumption is hugely excessive. Let us consider one of the best sources of B6 – fish. 100g of salmon has approximately .6mg of pyridoxine. This means you would have to eat over 8kg of fish each day to achieve the upper limit for toxicity! Nature usually delivers nutrients to us in safe doses that are unlikely to do us harm, which is why it is hard to poison yourself with salmon. B6 toxicity usually arises from excessive supplementation. For example, in individuals taking a multitude of supplements. If you do choose to consume a supplement, be aware of its contents and its potential effects on your health in combination with other tablets/supplements you take. Toxicity results in nerve damage that can be permanent if left untreated. This may present as difficulty walking or peripheral neuropathy (tingling and numbness of the extremities). B7, or biotin, is central to energy metabolism as well as fatty acid synthesis. The recommended intake is 30ug/day and can be achieved by consuming a diet inclusive of eggs, dairy, meat and nuts. By failing to include biotin in the diet, the body cannot metabolise normally. This can result in a skin rash, hair loss, impaired growth and convulsions. You’ve probably heard of folate or folic acid, this is just another name for B9. It is often talked about in the context of peri-conception (the time around conception), due to its important role in in the formation of the neural tube in unborn children. 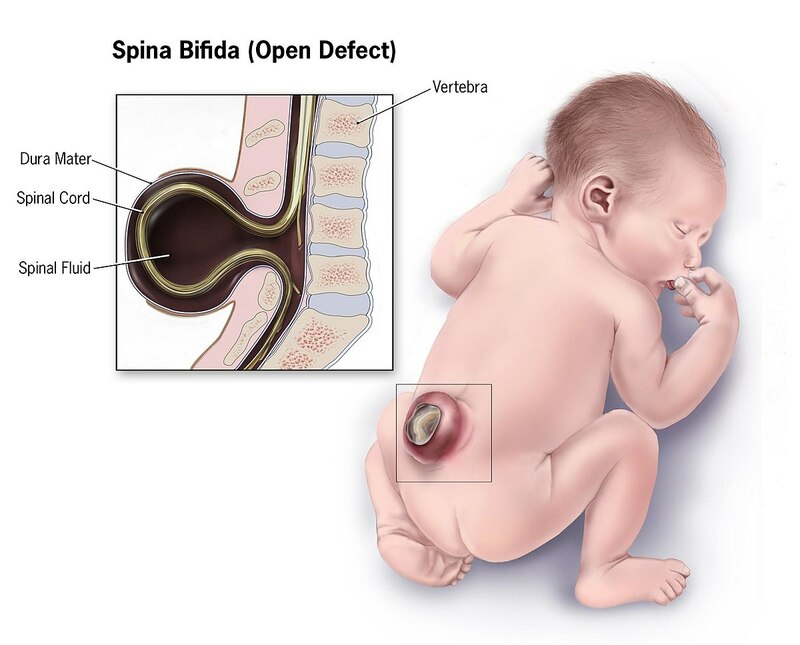 Improper formation results in spina bifida, a condition that requires surgery and is sometimes fatal. B9 is important to cell division and normal growth, which explains why it is so important in pregnancy. Outside of this, it is important all throughout life for healthy cell division, proliferation and maintenance. Since B9 is so important to cell growth, it is logical that the aspects of health that require rapid cell turn-over are most hurt by deficiency. For example, blood and gut cells. For this reason, deficiency usually results in anaemia, immature white blood cells and malabsorption. Since the gut cells aren’t properly formed, the integrity of the gut wall is compromised. This may result in the deficiency of other nutrients, as absorption is impaired. In order to avoid this, include dark leafy greens and a wide variety of fruit and veg in your diet. Like B6, B9 is special in that it has the potential to exert a toxicity, too. B9 toxicity is especially dangerous as it causes a type of anaemia that mimics B12 deficiency. If a doctor diagnoses B6 toxicity wrongfully as B12 deficiency, the untreated condition can leave permanent damage. B9 toxicity is potentially carcinogenic and may have negative effects on reproductive health. B12, or cobalamin, is important in maintaining the health of the nervous system. As discussed, its deficiency may result in anaemia, paired with nerve degeneration, poor memory and concentration. Vegans and B12 deficiencies are an iconic duo that result due to B12 being found only in animal products. For this reason, vegans should consider supplementation. Overall, it’s pretty clear that the B vitamins are essential to our health. However, it is generally very easy to avoid deficiency or toxicity by maintaining a sensible diet rich in a variety of foods including fruits and vegetables.